This 14K gold owl pendant with heart body from Apples of Gold Jewelry lets you show that special person just how important they are to you! 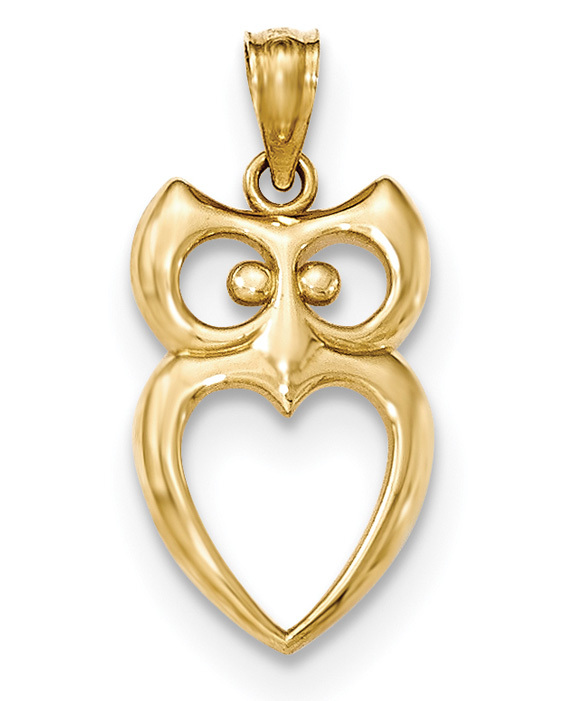 This gorgeous owl pendant features a playful owl face along with a body that is shaped like a heart. The 14K yellow gold pendant measures 1" tall including the hoop/bale, and is approximately 1/2" wide. This gorgeous pendant makes a wonderful gift for someone who loves owls or animals, or it is a great way to remind yourself of your own love. We guarantee our 14K Gold Owl Pendant with Heart Body to be high quality, authentic jewelry, as described above.